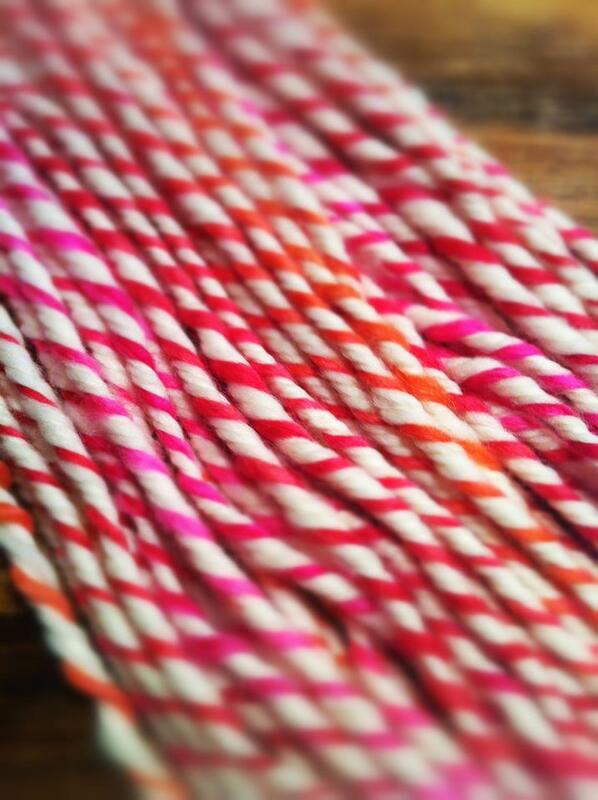 Home » Uncategorized » Candy Cane, yum! 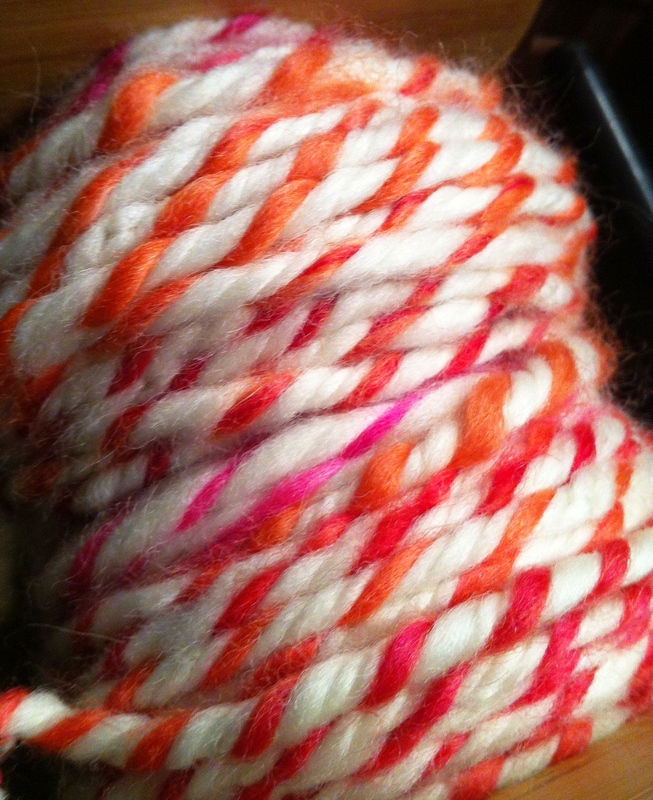 Just a quick post today, to show you my new yarn for the coming season! Candy Cane, Its my one weakness you know. Since i moved to the Netherlands, I have learned a whole different kind of Christmas, closer to the pretty Disney image that I loved so much, because to me, in my New Zealand climate, it was totally magical – SNOW, icicles, and suddenly, well, all the fairy lights suddenly make a whole lot more sense as the country is plunged into a kind of (to me) semi darkness in which the sun never rises past its 9 oclock in the morning position before dropping away again at a surprisingly early afternoon tea time. Reason 2 – (I didnt forget), I love plying, and there is plenty of that here! Reason 3 – I now have an excuse to go and visit the Christmas shop to buy Candy Canes to photograph with this yarn, because without that excuse it would be ‘far to early’ to be pawing the decorations and revelling in the sparkly stuff, right? Wonderful it speaks Christmas is coming! yes, in fact its closer than I thought! Christmas decorations starting to hit the streets in town today! I can taste the Candy Canes just by looking at your gorgeous yarn! !